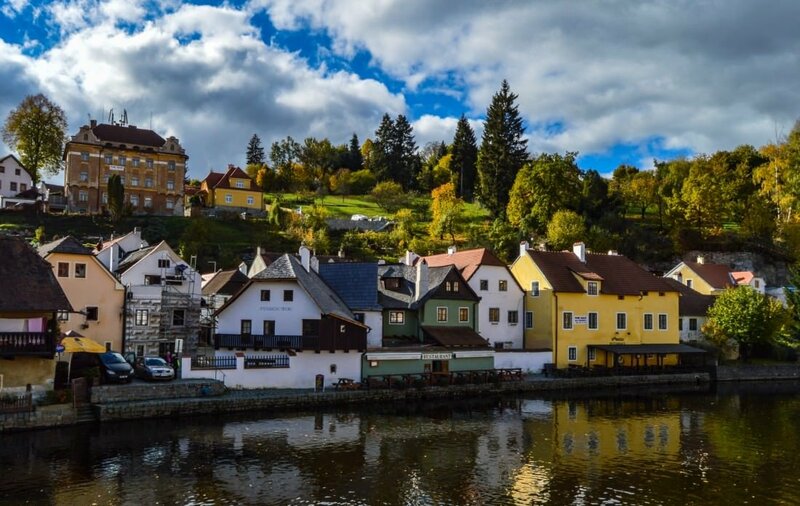 Historic, pristine, and wonderfully picturesque, Cesky Krumlov is a must visit destination in the Czech Republic. Cesky Krumlov is a small town in the South Bohemia region of the Czech Republic, and is very easy to visit on a day trip (or longer) from Prague. And visit this town you certainly should. 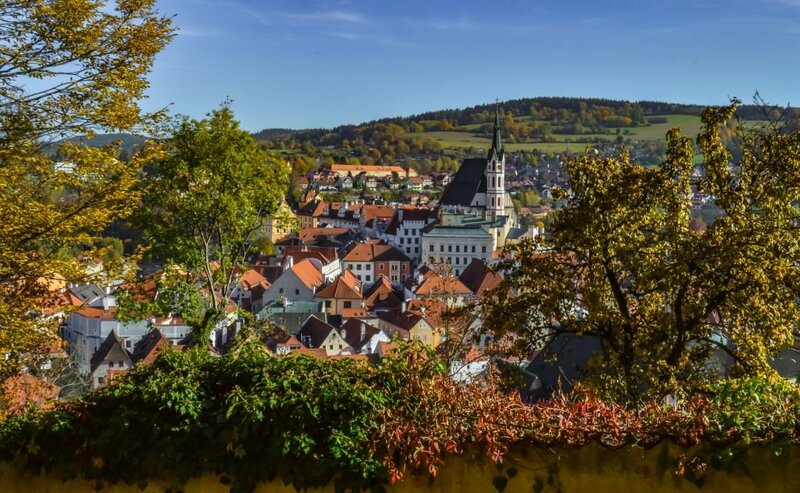 If and when you walk around the town of Cesky Krumlov in the spring or the summer you will swear you are walking through a fairy tale landscape, the sort that filled your imagination as you lay in bed after a bedtime story by Hans Christian Andersen. Adventure seems right around the corner, valiant knights and colorful bards might be hiding in every medieval house, and magic might actually be real. 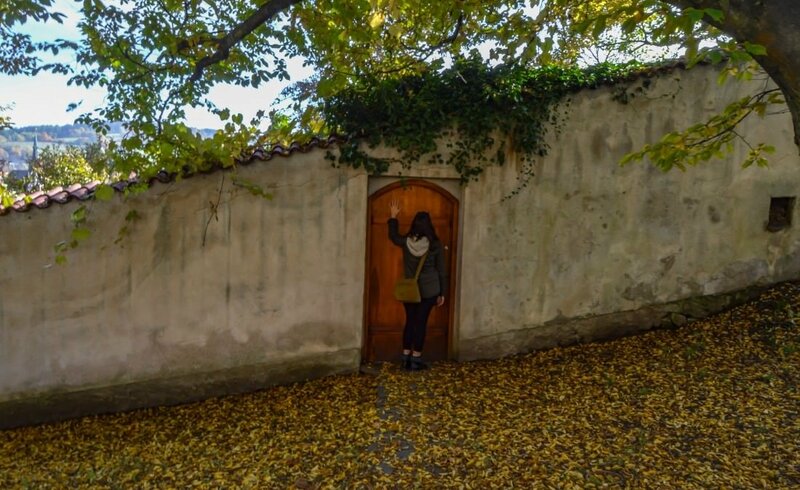 It might sound a tad corny, but that’s really how Cesky Krumlov made us feel, and how it will most likely make you feel as well. 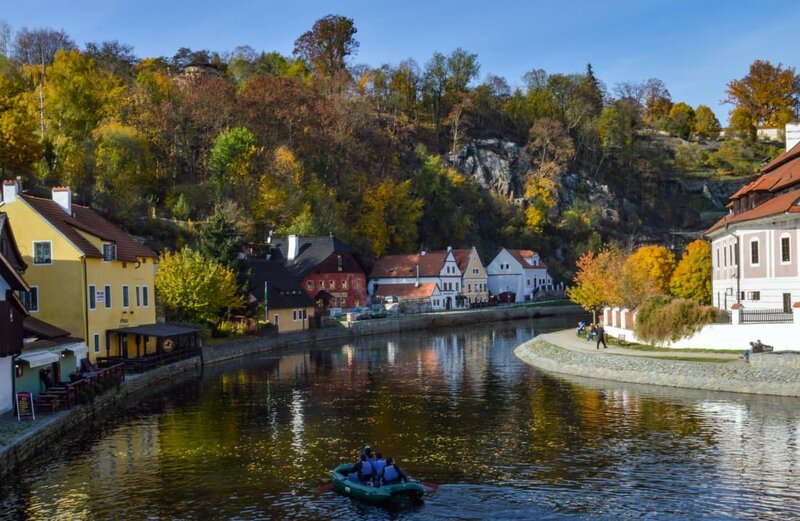 Visiting Cesky Krumlov from May to September is certainly a good idea, as the town is at its liveliest, and there are many outdoor activities to partake in. So if you are in the Prague during those seasons make sure you set aside at least a couple of days and pencil Krumlov into your itinerary. 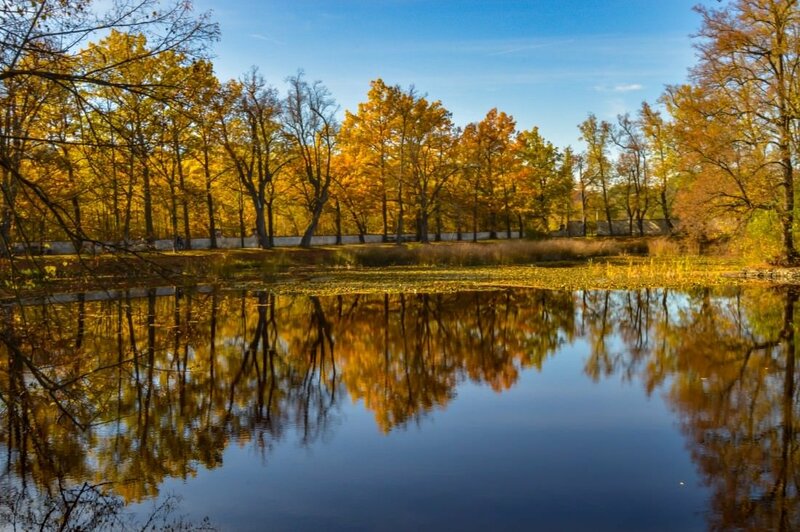 However, it could be that autumn is actually the most ideal time to explore this historic town in the South Bohemia region of the Czech Republic. High season ends sometime in early October, and the town isn’t as crowded with tourists, day trippers, and massive tour groups. You might get better prices for accommodations, outdoor activities, tours, and such. Meanwhile, fall’s glorious burst of color adds another layer to the mystique and beauty of an already picturesque location. A view onto the town from the castle complex. The eclectic riot of color starts in early to mid October and perfectly complements the town’s existing mix of Gothic, Renaissance, and Baroque architecture. The carrot colored rooftops and multi-hued houses blend in with the golden yellow and rustic orange pigmentation that accompanies autumn, creating a sublime feast for the eyes. Rafting on the River Vltava. 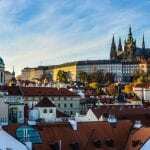 Fall’s crisp weather allows for pleasant walks around town and the castle complex, hiking or mountain biking in the nearby hills, and even a bit of rafting along the Vltava River. The weather during the day can be mild and pleasant, especially when the sun is out, while the evening brings a waft of winter’s bite. Wake up early on a late October morning and you can experience the majesty of a slow sunrise over the valley as the sun’s rays mix with early mist and smoke from wood burning stoves, casting a faint yet surreal haze over the town. All the colors blend together in those moments between breakfast and lunch, giving Cesky Krumlov a sparkling and saturated complexion. St. Vitus Church, perched over the River Vltava on a perfect Sunday morning. Once the sun goes down and the colors fade, the smell of wood smoke intensifies and the town’s many restaurants and bars glimmer with merry lights and warm fireplaces. When visiting one of these establishments make sure to remind yourself that the building you are sitting in was likely constructed over five hundred years ago, and has stood upon its foundation for countess generations. Many restaurants have their origin story detailed in the menu, making each dining experience a potential history lesson. 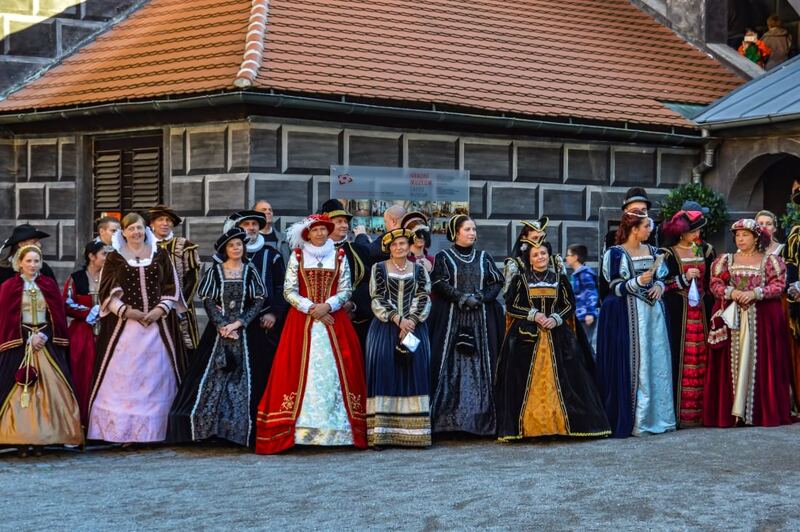 The main attraction in town is most certainly the Cesky Krumlov Castle and Chateau complex. Perched atop a hill overlooking Krumlov and the bendy Vltava River, the complex is home to Krumlov’s iconic tower, the Baroque Theater, the castle gardens, multiple vista spots affording sweeping and epic views onto the town, and a few restaurants. The view from the Castle Tower can be absolutely spectacular on the right autumn day. 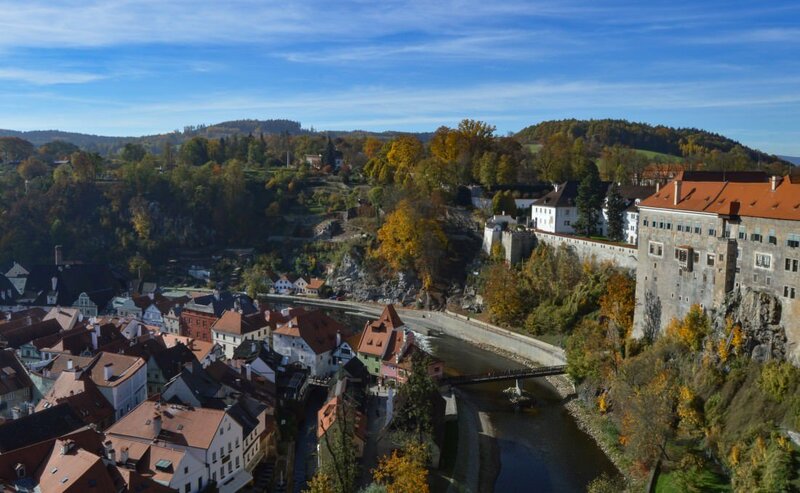 Climb the tower for 50 Kč (about $2.00 USD at time of publication) and you will be rewarded for your efforts with a stunning 360° panorama of Krumlov, and its surrounding landscape. Try not to knock anyone off the narrow walkway up on top as you jostle for position to capture the perfect picture (more on this a bit later). The Castle and Chateau have several tours available to the curious visitor, including one that takes you into the chateau interior to view what privileged life was like in centuries long past. The castle houses a museum which has some interesting artifacts on display (as museums usually do), and a collection of films from the early 20th century. If you visit on the right day and time you can even see a full blown costume party taking place in the complex, with awesome get ups like the ones above. A riot of amber filters the sun’s rays in the castle gardens. The complex also houses one of our favorite spots in all of the Czech Republic, the Castle Gardens. 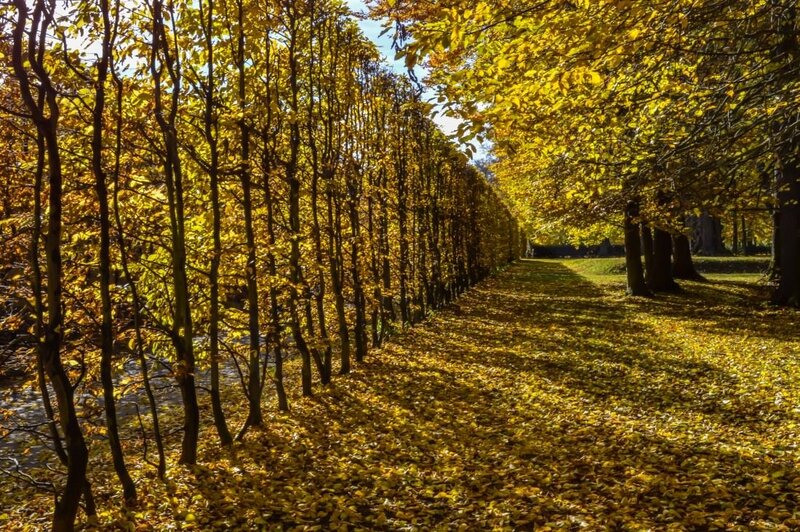 Gorgeous all year round, the 27 acre garden was designed in the 17th century and truly shines in autumn. Hedgerows line idyllic walking paths, massive gnarled trees gently drop their amber and orange leaves onto a soft grassy carpet, while the duck pond in the back of the garden radiates a peaceful and contemplative aura. 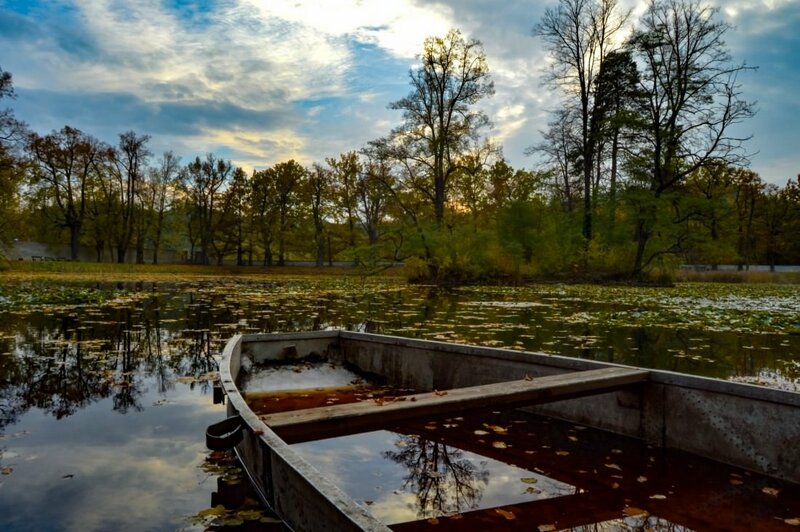 An old rowboat adds to the rustic and gorgeous ambiance of the duck pond. The garden is a perfect spot to hang out on a bench with a book, or to bring your kids for a couple of hours to watch them play, to have a midday picnic, or to maybe sneak a few private kisses among the hedges. Whatever you do, we recommend making a daily visit to the gardens while in town, weather and time permitting. There is a true sense of serenity here, and it is (as we have been saying ad infinitum) absolutely gorgeous in the fall. Mysterious doors in gardens always pique our interest. What lies on the other side? While most of its centuries old architecture is still intact, Cesky Krumlov fell into a period of general disrepair following the Second World War. Its ancient homes and buildings, dating back to the 14th century, were left unprotected from the ravages of time and the inevitability of entropy. Although it escaped the ravages of war and was untouched by bombs during WW II, Krumlov was neglected during the Communist era. It wasn’t until 1989 and the Velvet Revolution that the town began to be restored from the decades of inattention. 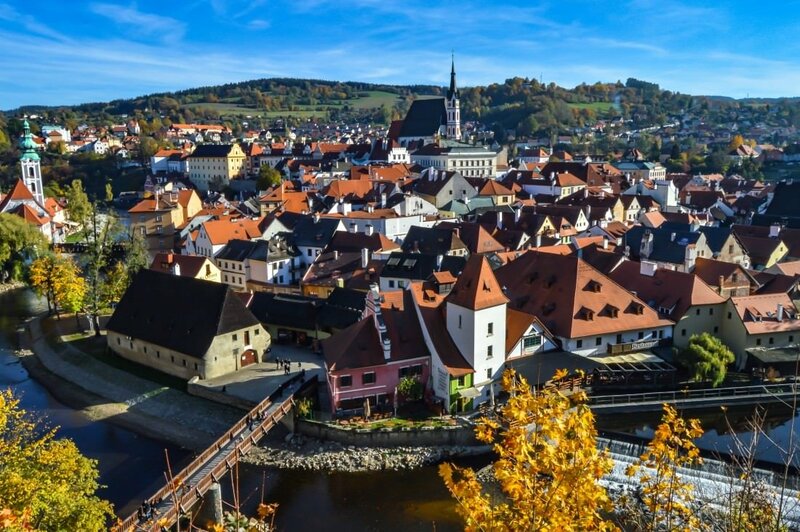 Nowadays Cesky Krumlov boasts over 300 protected buildings and structures, and was named one of the UNESCO World Heritage sites in 1992. Countless tourists flood the town during high season, and while they leave spreading tales of the beauty and magic found in Krumlov, they do bring with them their fair share of issues. Such is the downside of tourism. Therefore, when visiting, try to remain mindful of the following points (if you aren’t already). Most importantly, Cesky Krumlov is NOT a theme park. It is not a place that exists solely for the intake and consumption of tourists. Real people actually live here, spend their entire lives here, and have deep roots and family history that originate from the town and its surroundings. 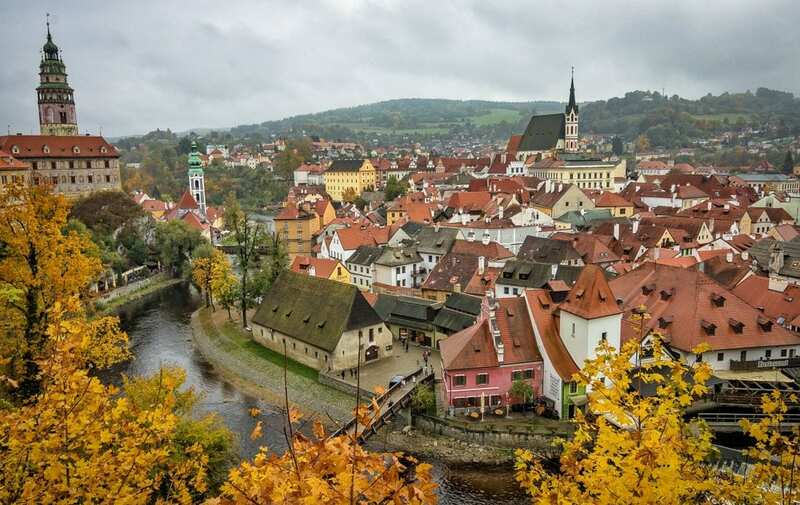 While Cesky Krumlov sometimes appears to be a magical fairy tale movie set, it isn’t. Treat the town as you would the home of a neighbor or a friend, respect its customs and traditions, and really try to remember that its inhabitants aren’t zoo animals, or worse yet, invisible. This applies to any and every tourist destination, of course, but we feel it necessary repeat here. 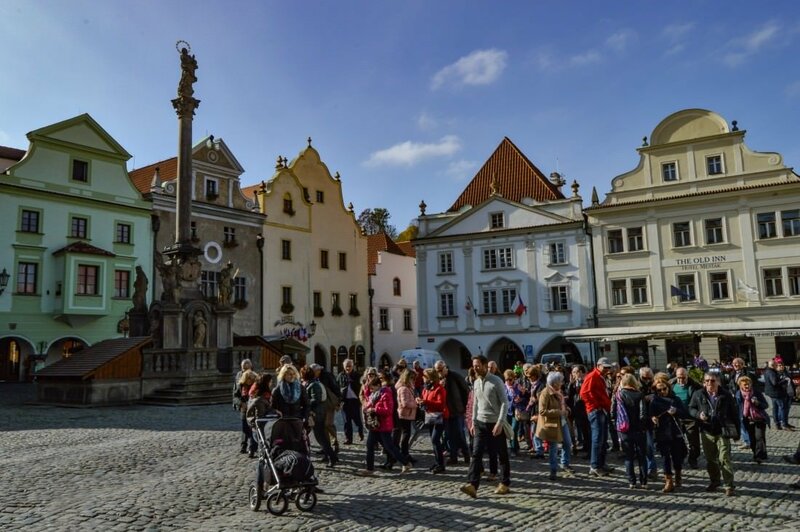 We saw some regrettable behavior from tourists during our recent six day stay in Krumlov which, frankly, made us ashamed to be associated with tourism in any way. Secondly, try to hunt down locally owned businesses and spend your money there. 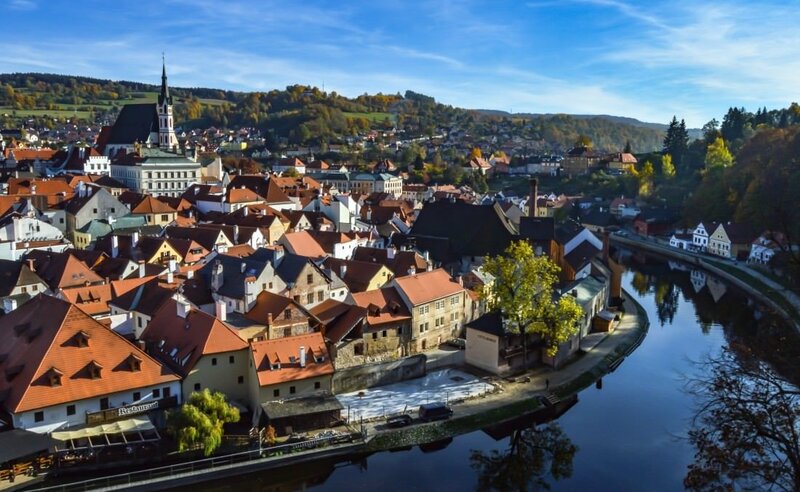 Many tour organizers are based outside of the town itself, and booking a tour with them doesn’t much benefit anyone in Cesky Krumlov. 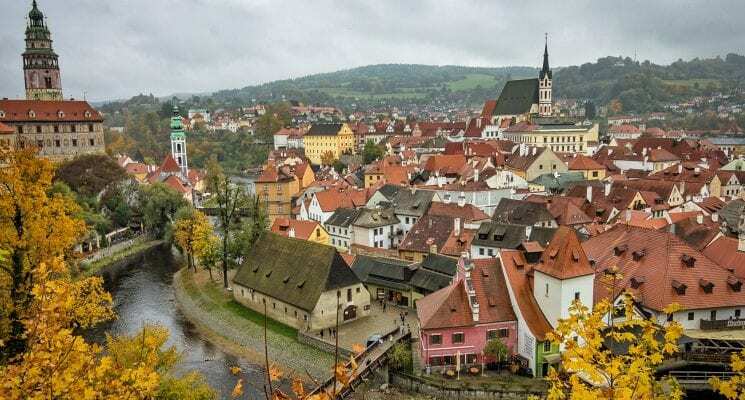 We will be writing a guide to visiting Cesky Krumlov soon, so sign up to our mailing list in the side bar to the right if you haven’t yet done so, and we’ll let you know as soon as the article is published. Finally, in order to reduce stress on infrastructure, try to visit outside of the high season months of May till September. 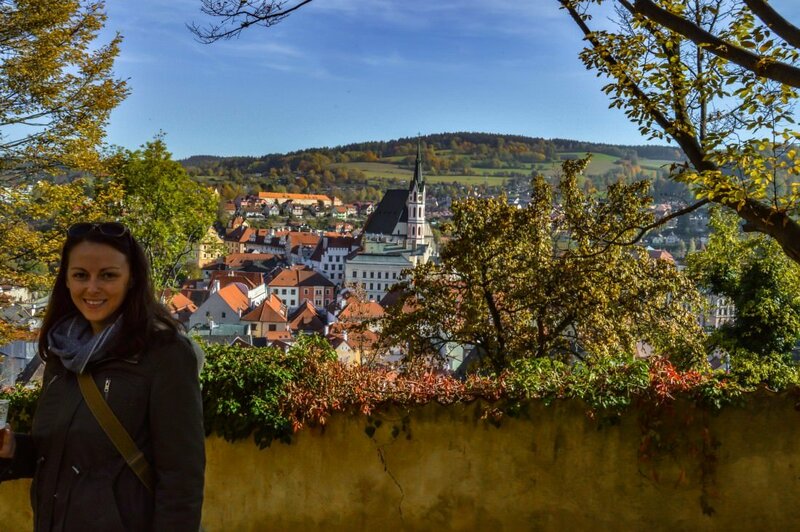 Hopefully our pictures have convinced you that Krumlov has much to offer even after summer wanes and mother nature begins her decent into winter. 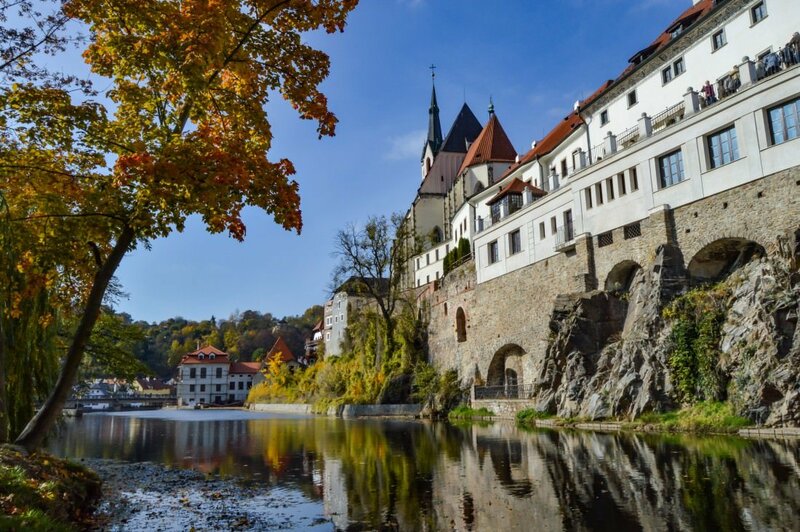 We recommend taking a Student Agency Bus from Prague to Cesky Krumlov. Tickets are under $10.00 each way and the bus ride is 2 hours and 55 minutes. Student Agency is our preferred bus company in this region of Europe because they have big comfy seats, personal entertainment systems (Movies, TV Shows, Games, and Music), and complimentary hot drinks. Buses to Cesky Krumlov from Prague depart from the Na Knížecí station, which is easy to get to via public transportation. The bus station in Cesky Krumlov is located a 10-15 minute walk from the town center. 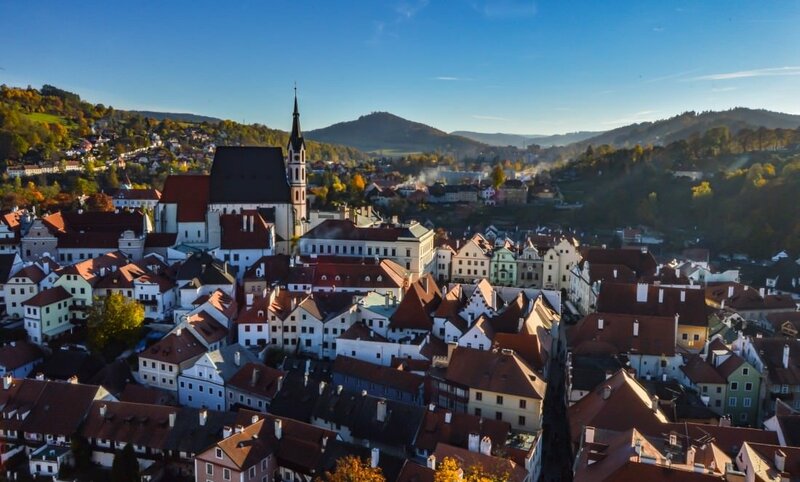 Buses depart from Prague for Cesky Krumlov nearly every hour from 6:00 am to 9:00 pm. Likewise, buses depart from Cesky Krumlov for Prague nearly every hour from 5:00 am to 8:00 pm. Big thanks to CzechTourism and the Český Krumlov Tourism board for helping us explore the town at our own pace, and for arranging a tour with Oldriska Balouskova, a wonderful local guide (email her at oldriskab@gmail.com if you are interested in a unique and personal tour guide experience). As always all opinions expressed are 100% our own. 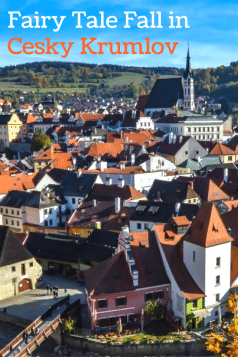 This is a great article about Cesky Krumlov, and I’m glad you’ll write a guide to visiting this beautiful historic city. Your pictures are amazing! I am so jealous! I went to Cesky Krumlov this summer, and I guess because it was cloudy the whole time I didn’t see it’s true beauty. Also the gaggles of package tourists and my feet which by that point were a huge blister didn’t help either. Hii Michael. I enjoyed this article so much. I was having a restless night so as usual for me when I come across yours and Randi’s articles I must read them. Some people might think it’s because I’m a bit prejudiced being Randi’s mom but I am like anyone else, captivated by the beautiful pictures and the wonderful stories I am treated to when I click on your site. Thanks also for reminding me of Hans Christian Anderson and the hours of a youth spent listening to a treasure of stories on vinyl I had as a child. I think this was one of my favorites to date. Can’t wait for the next one.